Dharmakirti, an Indian Buddhist philosopher of the seventh century, explored the nature, limits, and justifications of rationality within the context of Buddhist religious and metaphysical concerns. While Dharmakirti is widely recognized for his crucial innovations in Indian logic and semantic theory, his notoriously difficult thought nonetheless remains poorly understood. In this volume, one of the world's leading scholars of Buddhist philosophy sheds light on the interrelated topics of scripture, logic, and language in the works of Dharmakirti and his philosophical heirs, both Indian and Tibetan. 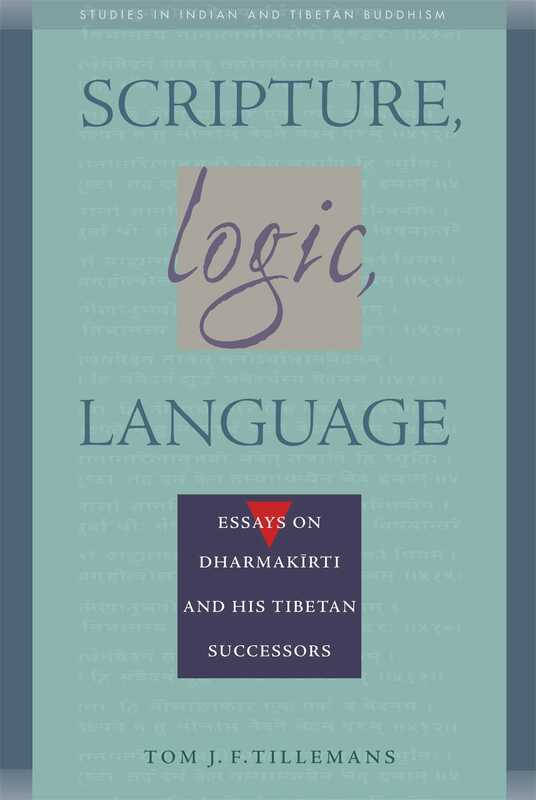 Professor Tillemans' knowledgeable explanations of such technical subjects as the apoha theory of reference and the problem of entailment (vyapti) are coupled throughout with insightful reflections on how best to evaluate Dharmakirti's theories in light of contemporary philosophical thought. Scripture, Logic, Language is an informative and thought-provoking study for students of Buddhism as well as for those in the wider field of philosophy.